The Edwards family pushes outward into deep space, pummeled by solar storms, unable to return to earth. Complications arise during their colonizing mission and Space Command abandons them. Cast off, with only the aid of a bio-engineered lemur, they struggle to survive. 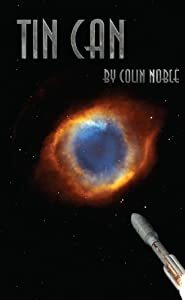 When one of the children begins to visualize new ways of navigating space through the prism of his mutating neural connections, the crew reaches back to earth's outcasts for help in analyzing the visions. Together they travel along neuro-pathways searching for answers to save the earth and themselves. 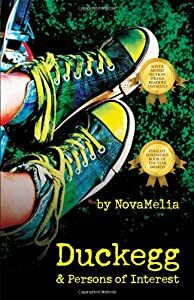 Engaging, humorous, and with many imaginative twists, Tin Can is a character-driven, young adult, science fiction novel that will have you cheering for the underdog. Brilliantly layered, this tale of making connections masterfully sets the intricacies of science with the bold imagery of the truly fantastic. Two hundred year old seeds, a dwindling bank account and an exotic serum are just three of the motivators that propel Gail Wheeler and her sister Fran into the cosmetic industry. The two embark on a wild journey to create a new product that does far more than they imagined. 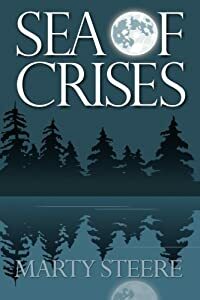 Dreams of fortune drive them into board rooms, the Sumatran rainforest, and coastal Maine, until their venture stops in its tracks and their singular focus shifts to saving a woman's life. 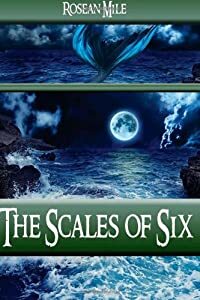 Against a backdrop of career and money problems, shady competitors, legal challenges and romance, they must race against biological, corporate and media forces to protect themselves and others from the disastrous effects of their creation. 2013 Readers' Favorite award winner in adventure fiction. A Reader's Favorite 2013 Finalist in Adventure. While traveling on a local bus in Chinchero, Peru, Arla is approached by a mysterious female peddler who shows her a small, silver warrior. The statue is identical to those found only in rare Inca tombs located high in the Andes. Arla suspects this is a genuine artifact, perhaps stolen from the same Capacocha burial site her co-worker, Lance Hayden, is seeking. When the woman tells her she has many more items for sale, Arla follows her to an abandoned house. Too late, Arla realizes she has fallen into a trap! 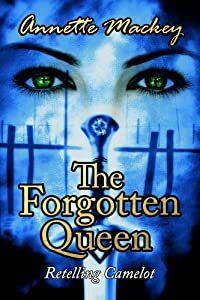 Arla gets kidnapped by a group of ruthless thieves who are holding Lance Hayden hostage. They believe Arla's in possession of a journal, which is the final link to the Lost City and the secret it holds. 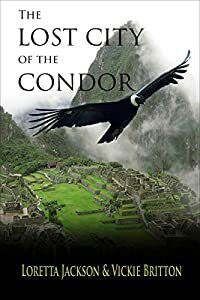 A race against time takes Arla to a snowy mountain peak and a clash with the looters for the most priceless treasure of all - the golden condor! Frozen Lies is the first book in the Jacob Rohn series by R. A. Quinn. In the 49th state, law enforcement faces extreme challenges. Follow Investigator Jacob 'Jake' Rohn as he finds himself north of the Arctic Circle in Fort Yukon, Alaska. He's facing perhaps the most difficult case of his career and has much more to think about than just solving a gruesome double homicide. Staying alive in the harsh, yet beautiful, wilderness can be tough enough but when it seems there are dangers at every turn of this investigation, that task becomes even tougher. Rohn has a past that haunts him in more ways than he actually knows. R. A. Quinn knows this Arctic world and both his subtle and vivid descriptions provide the reader with a front row seat and a back stage pass to the stunning land known as Alaska. 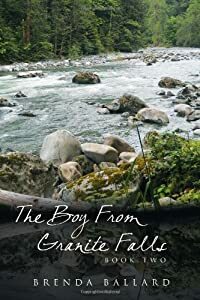 Follow Jacob Rohn as he weaves his way through the beautiful north in this heart stopping mystery. 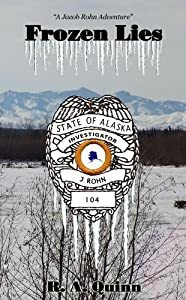 R. A. Quinn is a retired Alaska State Trooper and spent three years living and working in the Fort Yukon area and uses his knowledge and experience to bring the wonders of Alaska to the reader, wherever they may be from; be it Alaska or anywhere in the world. Join Jacob Rohn in this well written crime thriller that will leave you both satisfied and craving for more. A large pharmaceutical company begins operations in a small outlying community in New England. Interdependence, intrinsic distrust, confused rumors and local ethics all become part of the mix. A local school teacher leads a group of concerned citizens who are suspicious about the research being conducted by the company. Honesty and morality and a menagerie of animals become part of the debate. There are the weak and the strong and sometimes there is bullying in the Company and among townspeople. In all of this Duckegg moves between his sense of not belonging to his often dysfunctional family and the pride of being a hero. He is honest with himself but sometimes blatantly dishonest with others. He suffers the sorrow of loss and the shame of unintentional harm done by him. The balancing act between the Company and the Town's people, the personal conflicts and the clashing of personalities, the bullies and the bullied, the clever and the not so smart; the conniving and the innocent, ultimately culminates in a town gone mad, at least for a day. What really happened to the crew of Apollo 18 in the Mare Crisium, the Sea of Crises? A mission conducted in eerie silence after loss of all communications during the astronauts' first moonwalk, it ended in tragedy when the heat shield on the command capsule failed during re-entry, leaving three dead astronauts inside burned beyond recognition. With them died the answer to a great mystery: What was the meaning of mission commander Bob Cartwright's statement, "That shouldn't be here," uttered just before the loss of communication? Thirty-six years later, Cartwright's sons make a shocking discovery: The capsule that came down in the Pacific Ocean with three charred remains was not their father's capsule. And the body they buried all those years before was not their father. In mid-1944, a half-million German prisoners of war are working in U.S. factories and fields because military enlistments and the draft have caused labor shortages. Two hundred PWs are billeted in an old Civilian Conservation Corps camp on Muskrat Island in the Minnesota River at New Bonn. 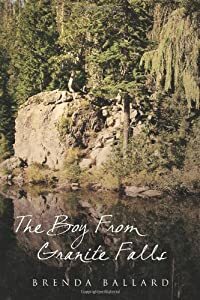 Twelve-year-olds, Frank Warner, Jack Steiner, and Skeeter Stark stake out the PW camp from an abandoned cabin along the river. Frank's and Jack's dads are serving with the 3rd Infantry Division in Italy. Skeeter's brother is an Army Ranger in France. Frank and Jack are Boy Scouts, and fluent in Morse Code; however, a series of mysterious radio messages intercepted in that format baffles them. The boys build a raft and land on the island. They encounter a PW who drops a matchbook cover, on the back of which are printed the following strange words and numbers: KAISER BRIGHTMAN 082314. Frank and Jack witness the shooting death of a PW in the camp. When news of the killing is not made public, Frank approaches a U.S. Army lieutenant from the camp. His name is William Brightman, and he was born on August 23, 1914. The boys decipher the Morse Code messages, which reveal a Nazi conspiracy of murder and sabotage that imperils many lives, including theirs. 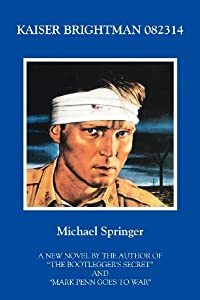 Other Novels by Michael Springer... The Bootlegger's Secret "A page- turning mystery that begs to be read in a day! A fantastic 5-star read...all ages would enjoy!" ---Readers Favorite "I give The Bootlegger's Secret a five-star rating...definitely a great book." ---Charlotte Ratcliff for RebeccasRead Mark Penn Goes to War, Sequel to The Bootlegger's Secret "If you love stories that take you back to the good old days, reminiscent of Mayberry or Tom Sawyer, you're going to love this book..." ---Brenda Casto, kittycrochettwo "Another home run; no, a grand slam." ---Mary James . Winner of the 2012 Readers Favorite Book Award for Best Action Fiction.